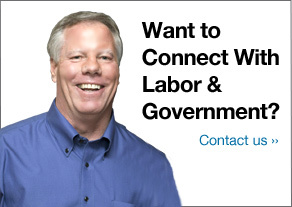 I’m a fan of prevailing wage. Prevailing wage sets a minimum hourly rate on public construction projects and can include standards for health and pension benefits. In my tenure as the Business Representative for IATSE Local 16, we expanded prevailing wage in San Francisco to include theatrical services. Prior to 1989, Local 16 did not need prevailing wage protection. Then, the Loma Prieta earthquake struck, causing billions of dollars in damage and tragically killing 63 people. It also altered our economic landscape. 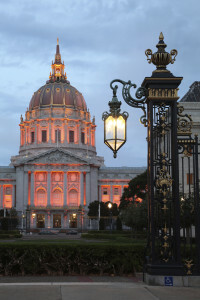 San Francisco’s famed City Hall, the seat of city government and preferred locale for high-profile events, (employing Local 16 stagehands) incurred significant damage and was forced to close for several years during a massive restoration and retrofit. When it reopened in 1999, Local 16 members looked forward to going back to work at this magnificent Beaux Arts venue. Unfortunately, the new and improved City Hall came with a new events manager who showed a preference for unrepresented workers. We were determined not to lose this venue and left no stone unturned in our quest to secure an agreement. Over the next five years, we held discussions with the Mayor, the 11-member Board of Supervisors, the City Attorney and the Small Business Commission to forge a solution. By 2004, the political winds shifted in our favor. Working with one of the Supervisors, we crafted a prevailing wage law that would cover stage employees’ hourly rate and benefits at all City-owned, operated and leased sites. The ordinance passed 10-0. The 11th Supervisor, Gavin Newsom, had just been elected Mayor and had the honor of signing our prevailing wage into law. Local 16 felt an immediate impact on business as employers turned to our skilled technicians to fill positions at venues throughout San Francisco including the Airport, Golden Gate Park, the Museums and the Port. This also opened the door to organizing unrepresented employees and securing long-term contracts with several of these employers. There is opportunity in every catastrophe. You just have to know where to look for it.